Vladimir Putin’s political brinkmanship has brought security of gas supply firmly back into focus across Europe. Growth in LNG regas capacity has increased the UK’s insurance against pipeline supply cuts. But with the cost of LNG supply driven by Asian spot prices, this is an expensive insurance policy. As a result, security of supply is a key factor supporting the long term case for investment in UK shale gas. Vladimir Putin’s political brinkmanship has brought security of gas supply firmly back into focus across Europe. The importance of gas sales to the Russian economy means that disruptions to gas supply are likely to be temporary rather than structural. But Russia’s use of energy supply as a means of political leverage presents an uncomfortable situation for European governments. The UK government has displayed a clear concern, given domestic reserves of conventional gas are in rapid decline. The UK also sits at the outer edge of European gas transport infrastructure network. Growth in LNG regas capacity over the last decade has increased the UK’s insurance policy against pipeline supply cuts. But with the cost of LNG supply currently driven by Asian spot prices, this is an expensive insurance policy to fall back on. As a result, security of supply is a key factor supporting the long term case for investment in UK shale gas. We wrote previously on the gap between rhetoric and reality in the UK government’s case for shale gas support. Government arguments in support of shale have been refocused in the last six months. The government appears to have understood that shale gas is very unlikely to have a significant impact on marginal wholesale price setting. Instead support for shale gas has been re-focused around a more realistic package of security of supply, balance of payments and jobs. The government has also announced a number of practical policy support measures. Shale developers will have access to generous tax breaks. For example they will be granted tax allowances for developing gas fields, where exploration expenditure can be offset against tax for a decade. Local councils are able to retain 100% of business rates raised from fracking sites. A lump sum of £100,000 plus 1% of revenues may be available for distribution to local communities when test wells are fracked. Direct cash payments may also be made to property owners living near fracking sites. As well as direct financial incentives, the other carrot for local communities is jobs. 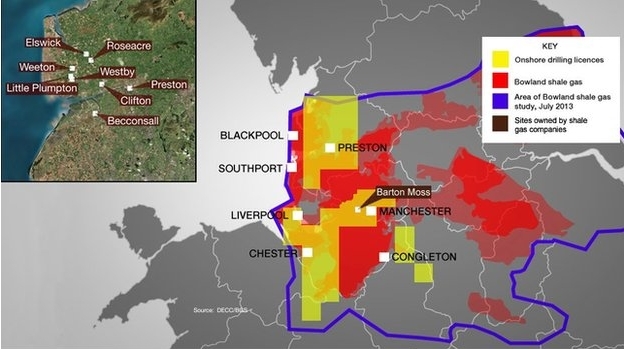 Diagram 1 illustrates how UK shale gas development potential is focused around a belt across Northern England. This is an area that continues to suffer from the fallout of the financial crisis and if shale gas development took off it could provide a valuable boost to the local economy. But in order for that benefit to transpire, shale gas production economics remains the biggest of all hurdles. Diagram1: Key UK shale gas formations, licenses and sites. The British Geological Survey (BGS) published a report with DECC in July 2013 that suggested there could be about 1,300 tcf (36.8 TCM) of shale gas in the Bowland basin in North West England. Although only a small portion (e.g. 10%) of that is likely to be recoverable. Recent exploration progress by Cuadrilla has shown some positive signs. The company has said there is 330 tcf (9.3 TCM) of gas within its licence area, 50% more than previous estimates. A recent progress report from the Imperial College London was also promising, with analysis indicating that the UK’s onshore shales are rich enough in organic material and have the right petrology for hydraulic fracturing. But ultimately it will be the drilling of test wells that reveals the economic viability of UK shale. UK shale formations are more complex than US shale which is likely to significantly increase production cost. The planning permitting process is also expensive, with 8 or 9 permits required for each test well. As a result the chairman of Cuadrilla (Lord Browne ) has indicated it will take 5 years and the drilling of 20 to 40 test wells to judge whether the UK has a viable shale gas industry. Even though the gas is yet to flow, the last 12 months has seen a step up in capital flow into UK shale gas exploration. The prospects of the Riverstone backed Cuadrilla improved significantly last year when Centrica purchased a 25% stake in the Bowland exploration licence for £40m. Centrica will also pay an additional £60m in exploration and appraisal costs and £60m if it participates in any development. Total has also announced in January that is will invest $50m in UK shale gas and has acquired stakes in shale gas exploration licences in the Midlands operated by the US company Ecorp. These investments represent low cost options for the companies involved. However the fact that oil majors and utilities are stepping in to invest directly in UK shale licenses is a sign of transition from the speculative exploration stage. Test wells and time will tell whether shale gas production will have a major impact on UK gas supply. But across US shale and Australian coal seam methane plays, recent history illustrates that there is at least the potential for main stream investment in unconventional gas reserves to be followed by transformational changes in a country’s gas balance.